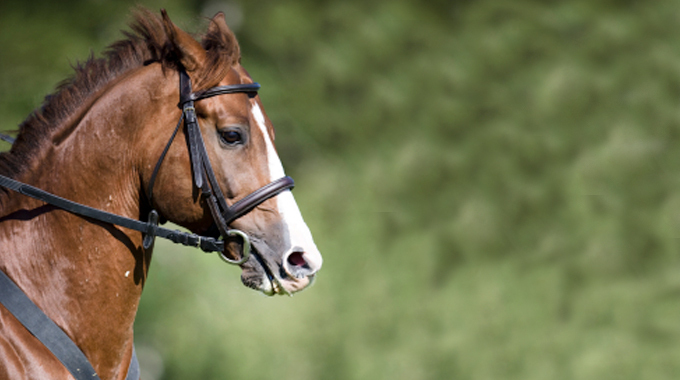 Do you have any exercises or advice on how to strengthen a horse’s hindquarters? This is a great question and, of course, one easy solution is hill work. The trouble with this is that a lot of us don’t have hills easily accessible to us. For this reason, I’ll give a 2 part answer. 1) If you have hills: Walk or trot SLOW and ROUND up the hill. You don’t necessarily have to canter up the hills in order to build fitness, a walk or a slow trot will require your horse to really engage his back and hind end and will build a great amount of strength and fitness. Horses that are doing upper level eventing will eventually require cantering hills just to make sure they can gallop a 8+ minute track. But, I keep it at the slower gaits for my lower level horses. 2) If you don’t have hills (or alternate with hill work): Raised pole work. Set up the poles at approximately 4.5 feet apart, first with alternating raised poles (the raised pole should be only a few inches off the ground). Then, once the horse is comfortable with this you can raise each one. Keep it to 3-5 poles total to start. There are lots of ways to play around with this, you can put the poles closer together (around 3ft) and walk them, you could put them to canter poles (around 10 ft) etc. Again, do this work nice and round so the horse is truly engaged with the back and hind end, he’ll have to push and lift to get through the poles correctly. 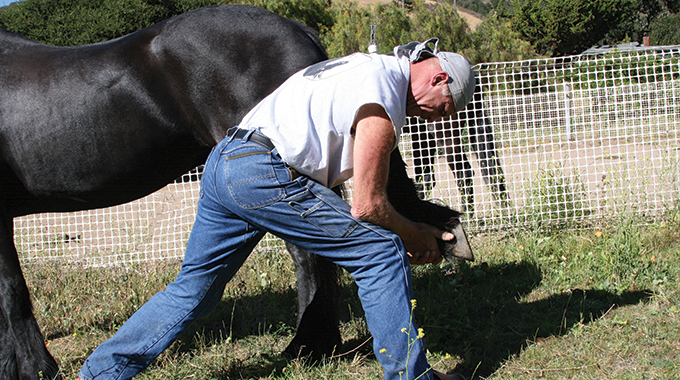 The best way to strengthen the hind end of a horse is to start with stretches. Tight muscles are weak muscles. After stretching I recommend interval training. 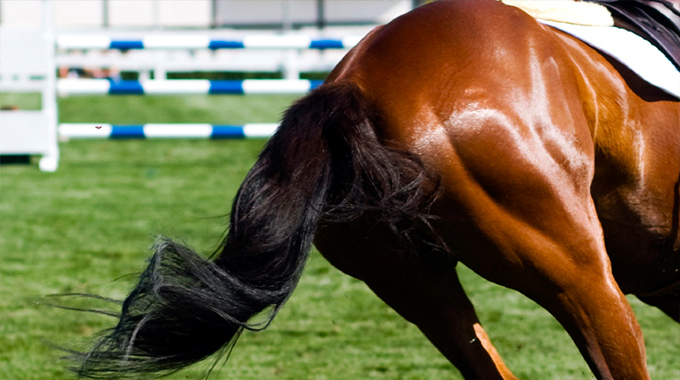 Short vigorous spurts (similar to us doing wind sprints) followed by slower gaited movements. Also doing focused exercises, such as haunches in and out and shoulder in and out as well as hill work. Finish with light stretching to maintain muscle elasticity. My horse has short strides mostly back. How can I get her to stretch out more. My gelding is ten years old. He’s pretty set in his ways with only about a year under saddle. He’s been allowed to carry all his weight on his forehand and is heavily unbalanced (only picking up his left lead even under pressure to pick up the right just because it’s more comfortable on the left). Throughout his early saddle training at the younger ages, his former owner didn’t work both sides equally. I’ve got him more balanced but am trying to engage his hindend. He trips a lot and I know that if I can get his hind end engaged that will stop but he resists working off his hind end. Any advice? Thanks for your question. 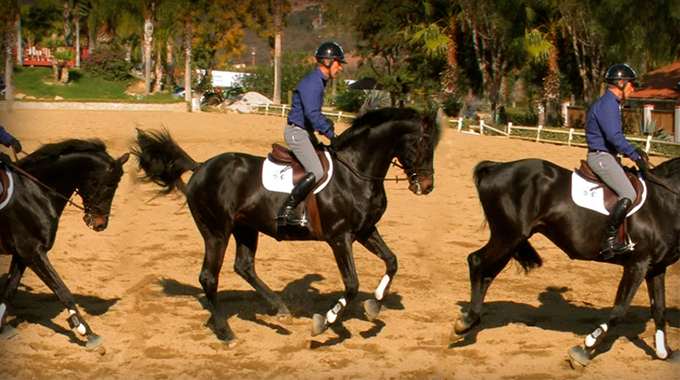 Bernie has several blog posts on helping horses to be lighter on the forehand that while they aren’t specifically for an older TB I still think they’ll work for you as the exercises would also apply to your situation. I have put the links below. I hope they help! Good luck.